The Old Stone Fort Museum Complex in Schoharie, New York, exhibits more than 300 million years of rural New York history. 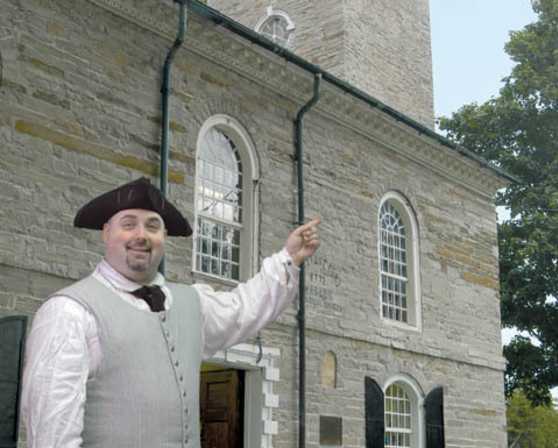 The main museum is housed in a building that was built as a Dutch Reformed church in 1772, converted to a Fort in 1777 during the American revolution. The fort was attacked in 1780 by British forces. At least three cannonballs struck the building, one of which made a hole still visible in the wall, and is now exhibited inside. Objects on exhibit range from the world’s earliest fossil trees, a fire engine built before George Washington was born, and Schoharie’s first car, a 1903 Rambler! A museum store features books and reproductions focusing on local and regional history. Other exhibits in the six building Complex include a restored New World Dutch barn housing an agricultural tools exhibit; an 1890s one-room schoolhouse where visitors can sit at the students’ desks and try their hand at the lessons of a century ago; and an exhibit of 20th century communications technology. 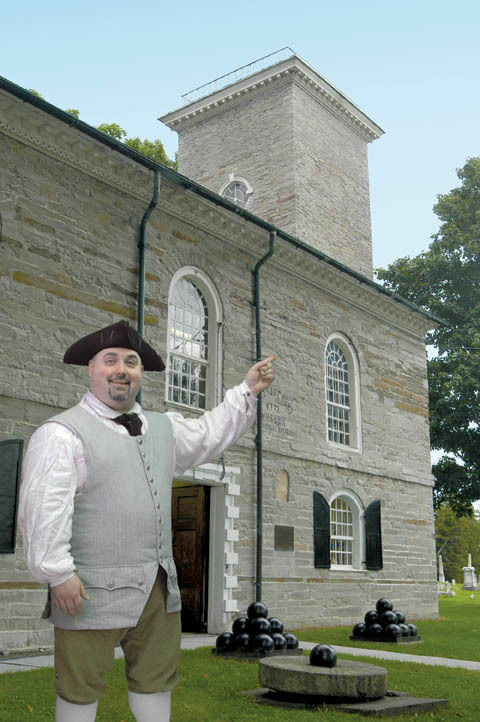 The Old Stone Fort Museum Complex is open May through October and is located in Schoharie County, about halfway between Albany and Cooperstown, just off Interstate 88. Admission is $7 for adults and $2 for children between the ages of 5 and 17. Group tour and special program rates are available with advance reservations. For information, visit www.theOldStoneFort.org or contact the museum at (518) 295-7192 or office@schohariehistory.net . Description Multi-purpose meeting room in the Badgley Museum Annex building. Part of the seven-building Old Stone Fort Museum Complex.